I guess I’ve made it obvious that I love tiny things. I named a baby squirrel. I squealed when I saw this photo of a baby jackrabbit. I joyfully took pictures of a baby human in The Wok. I started a collection of itty-bitty succulent plants. I am obsessed with my teensy trailer, Betty. And let’s not forget what a little munchkin Cholula was just 6 months ago! So when I saw some yummy-looking challah slider buns at Whole Foods, I snatched them right up. Sliders are awesome because you can have multiple burgers with different toppings if you so choose. Plus they are adorable. 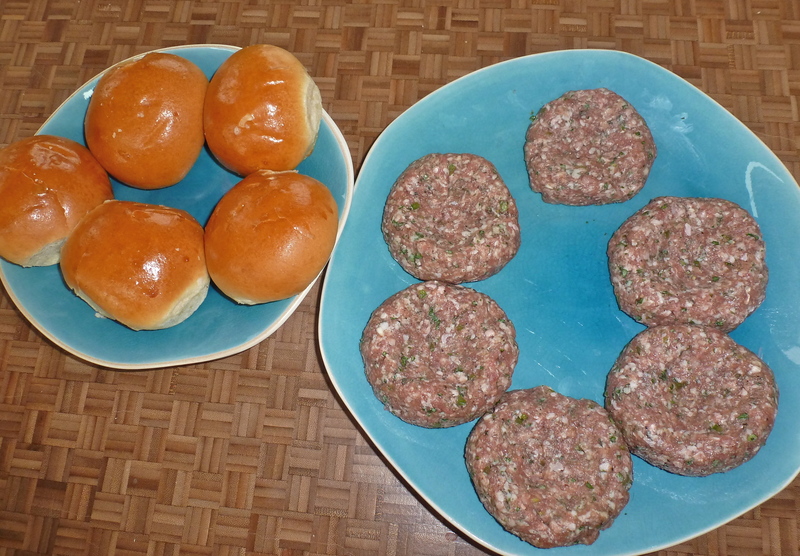 For the mini-burgers, John combined ground lamb, chopped fresh mint, chopped fresh cilantro, chopped garlic, dried oregano, Worcestershire sauce, an egg, some breadcrumbs, salt and pepper, and LOVE. (His words.) 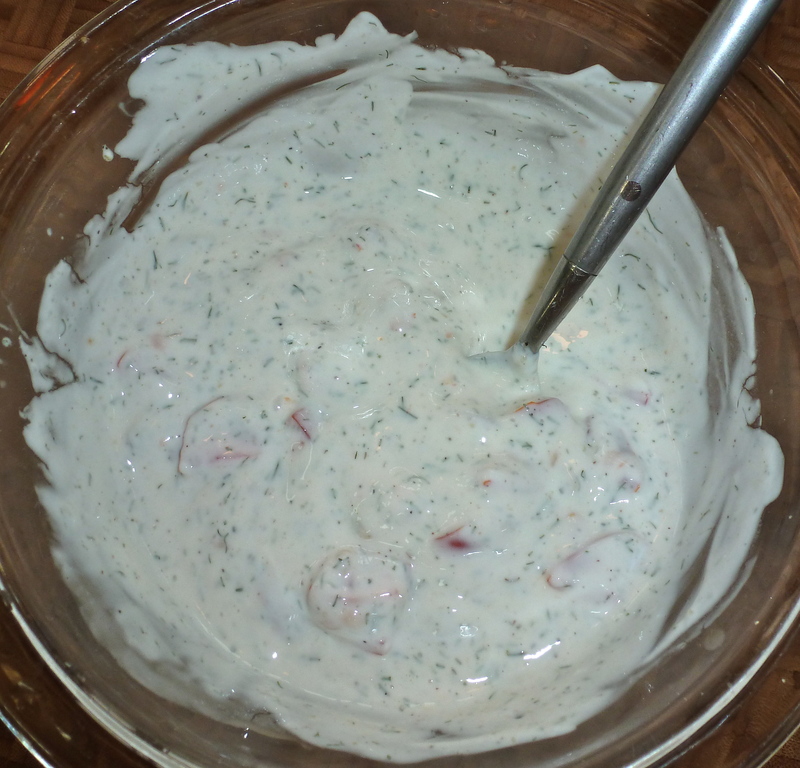 For the sauce, I mixed together plain Greek yogurt, dried dill, garlic salt, pepper, quartered cherry tomatoes, and lemon juice. You’ll have to wing it on the amounts, because that’s what we did. But the result was delectable. 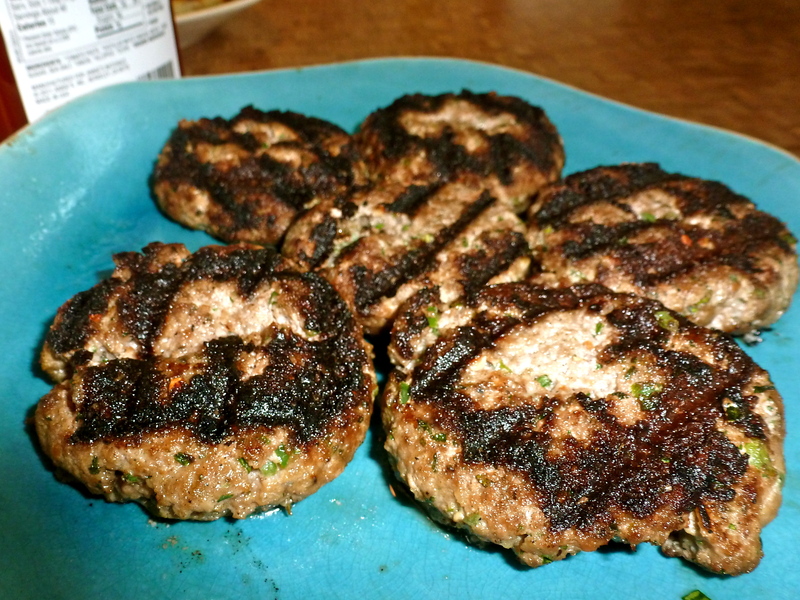 If you’re tired of traditional burgers, try these! The mint was a big part of the flavor, so don’t omit it. I think some sliced cucumbers or some feta cheese would be awesome additions. And be sure to make them tiny. Because there are times when small is just…BETTER. Previous postPark Silly Sunday Market. Puppy pictures and bacon pictures activate, oddly, the same happiness region of my brain. Good thing I have plenty of BOTH on my blog! Those photos of Cholula as a puppy are unbelievably cute! 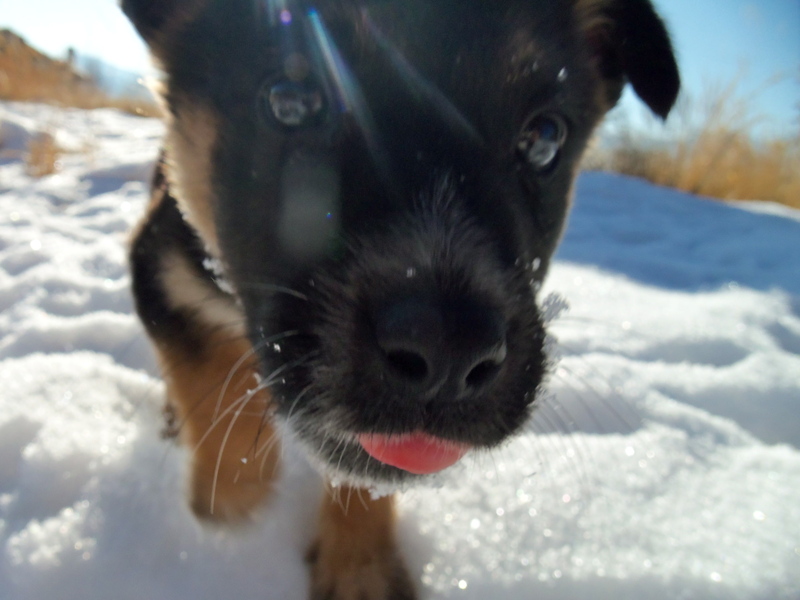 What is it about German Shepherd puppies?! Thank you for sharing! She has Chocolate Lab in there, too! I think that’s why one of her ears is still floppy. ADORBS! The mint was what made them so good, I think! Thanks for stopping by here, too! Congrats on FP… probably a little crazy!! “AND LOVE”….hahahah. That’s great. 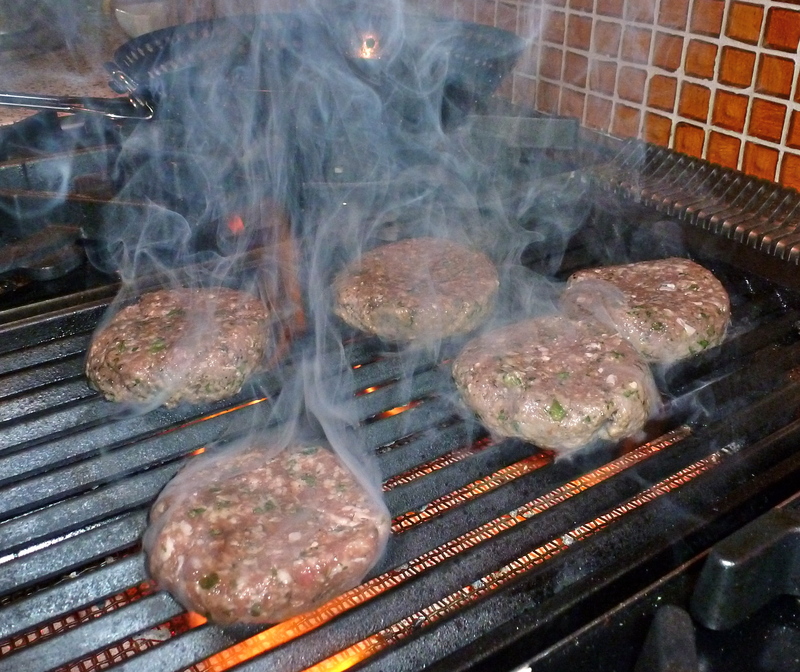 Those burgers look amazing!!! When I asked him to list the stuff in them, he said that. Adorable! Ok… I’m just eating this up! OR at least I hope to be soon! 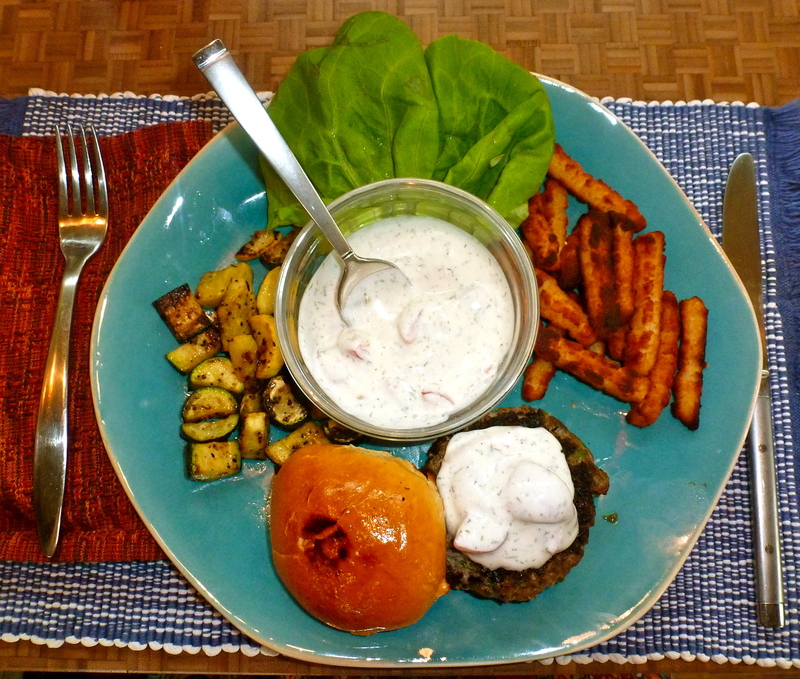 Come on,… that’s hardly fair to take a picture like that with yogurt sauce so beautifully oozing down the sides of that burger as if to say “you know you want me”! OF COURSE I DO! Serious kitchen inspiration here. That was my favorite pic, too! It makes my mouth water. These were pretty easy to make. I want to hear about what you come up with! Well, they were delicious! Thanks for the inspiration. My husband interrupted me several times during dinner conversation to bust out the ole “mmm, this is good” stuff. Don’t you love when they do that? I’m so glad you tried it- yummy alternative!! 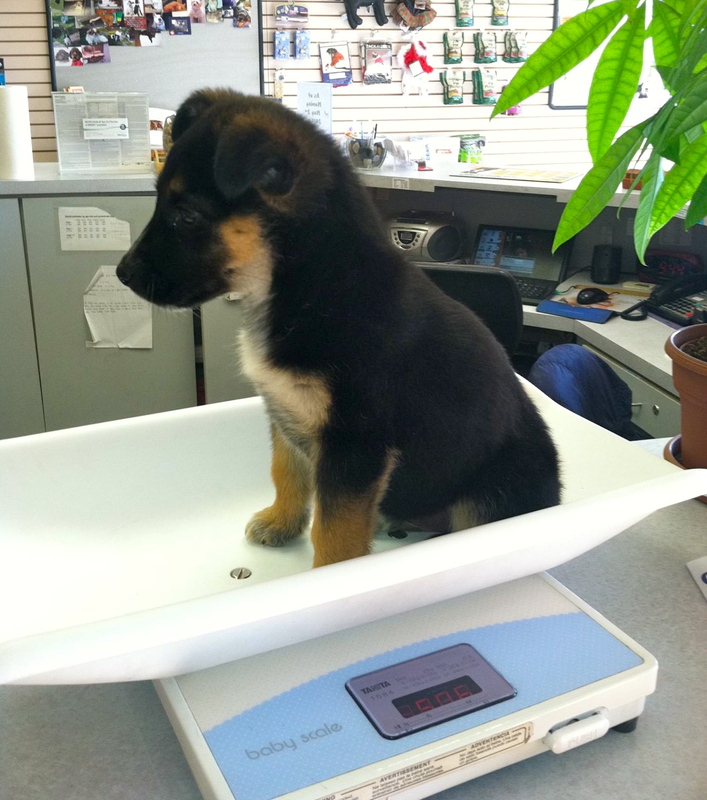 Puppy fix – check! 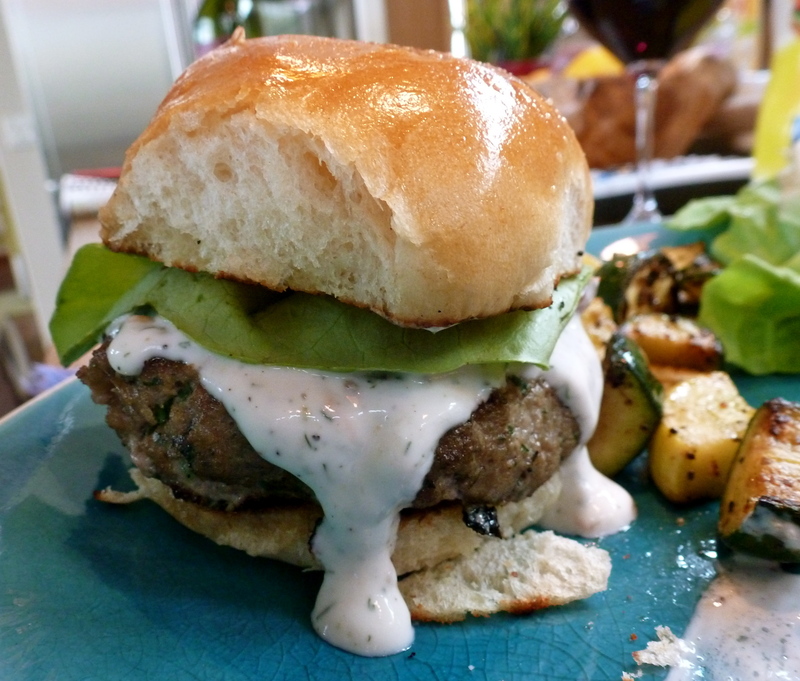 Great Sliders – check! Big Dawg – check! Thanks for sharing! 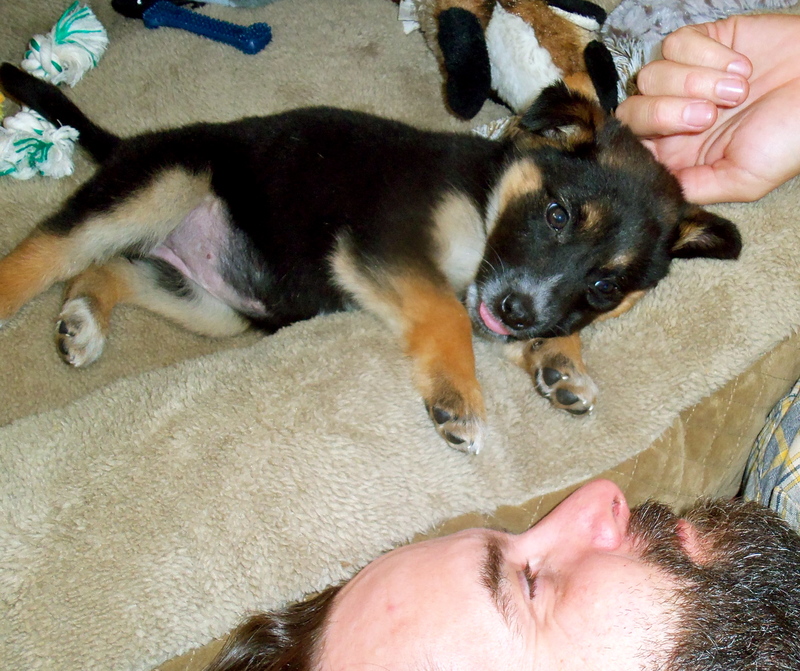 We looked at those photos and debated another puppy… to love on and to give Cholula some company! So tempting. I know, I thought about that! 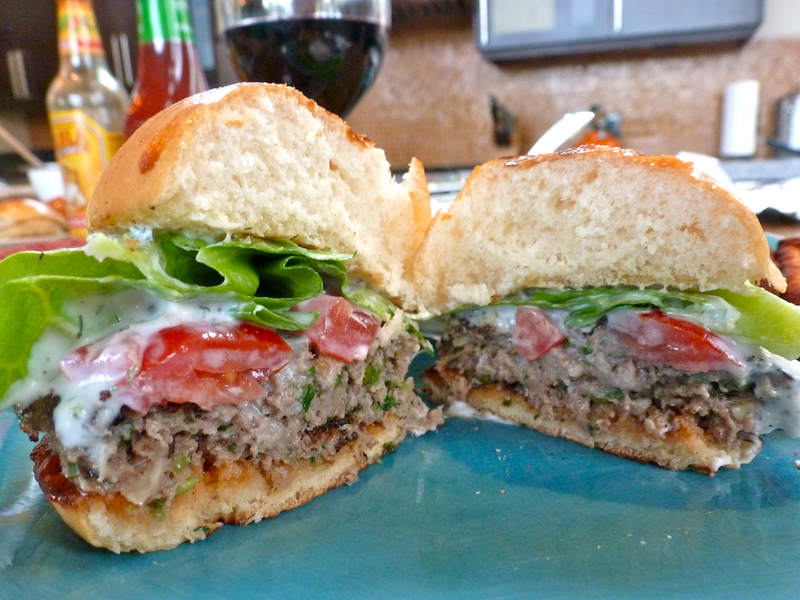 Lamb burgers vs tiny jackrabbits! 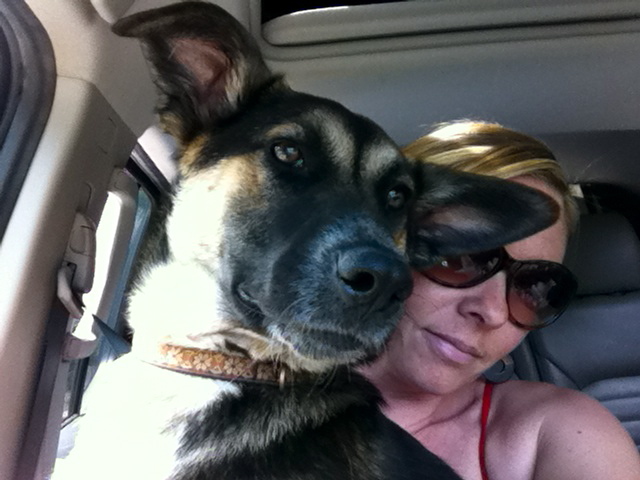 Yes, she’s a big girl- we hope she’s stopped growing at 55 lbs but you never know!